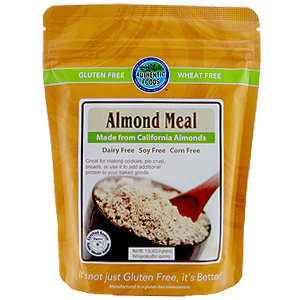 The Authentic Foods Almond Meal Flour is made from the finest natural almonds. It is commonly used to replace wheat flour in baked goods such as pie crusts, cookies, cakes, and breads. It is also great as a coating for fish or chicken. This almond meal flour is especially beneficial for people who are on a gluten free diet or a low carbohydrate diet because it is high in protein.